Clicking on images in this newsletter will generally open a larger image. Underlined text is generally a hyperlink - clicking on it may take you to a related website. Thank you for another successful Spring Show! Now you know what our big surprise is and we are so excited for our new home, "The GALA Arts Gallery." This is going to be a really fun adventure for us all. We need your help to make this successful. We will be keeping track of volunteer hours and will be incorporating a volunteer reward system. For the month of June we have scheduled a Poetry Open Mic and a Painting Class. see details in our newsletter to sign up. Come to our OPEN HOUSE on Saturday, May 7th from 2:00 - 6:00 and explore around the property; the public is invited. There will be live music and light refreshments. We will display a wish list of the items we need. We desperately need donations to complete our wish list-please DONATE NOW! BRING YOUR LAWN CHAIRS! Hope to see you and bring your ideas to share with us. We are working on new plans to help our musicians. We have produced a survey to help us identify what you are looking for, so we are better able to support you as an artist. If you are a musician, please take a few minutes and fill out our survey. Click on this link that will direct you to the survey: https://form.jotform.com/galaform/musician-survey. You may also find the survey on GALA's Events Website, galagardnerevents.weebly.com. Come Take a tour. Enjoy live music & light refreshments. Taste our custom-label GALA wines. Bring your ideas to share with us. Hear about some of the exciting plans! We need folks to help with the Open House and to bring refreshments. If you would like to volunteer, please call our GALA President, Deb Giordano at 978-407-1419. GALA Urgently Needs Your Support for Arts & Culture in Central New England! We ha ve been searching for the right place to call our home, and we have finally found it for YOU. A place where we can share our passion for all of the arts. The Winchendon History and Cultural Center purchased the house next door to their museum and has invited GALA to bring the talent of our membership to Winchendon at this location at 135 Front Street. Our office and Gift Shop will be in the main house, but there is also a carriage house on the property with a tall ceiling and large wooden barn beams. We will be renovating this carriage house to be used for art exhibits and other activities. Until this new space is ready, we will have use of a few rooms inside the main house. Besides art exhibits, we will offer classes, coffeehouses, music jams, poetry events, critiques and much more! We plan to continue holding our Annual Spring Show and other events in the Greater Gardner area. 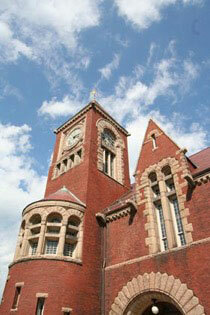 We look forward to a long and mutually beneficial partnership with the Winchendon History and Cultural Center. In order for our new Arts Gallery to be successful, we urgently need you to donate and volunteer. To enhance GALA's benefit to you, its members, your Board of Directors is asking for your assistance. You are encouraged to provide additional comments in the survey. Every thought matters and GALA is stronger with your input. The survey results are for GALA use only. Need a paper version of the survey? If you are not able to submit the survey online, please email info@galagardner.org so that we can arrange to provide you with a paper copy. (or both! ), purchasing our wine is a super way to support the local arts community. and tasteful gifts as well. Get all the info about the wines & order today here and enjoy a toast to art! Liz Winchester-Larson is exhibiting "Works in Colored Pencil" at the Mascoma Savings Bank, 53 Main Street, Walpole, NH through May 9. 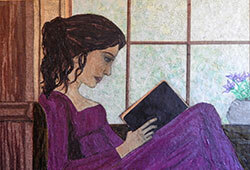 Paper Artist, Keila Ploof, will be exhibiting her artwork at the Levi Library in Gardner for the month of May. If you have never visited this beautiful library, you're in for a treat! For the first time, all of Keila's work will be hung together and will be quite the sight. Keila "paints" using paper to create unique works of art. Her subject matter is varied and has something to touch everyone. Texture plays a dramatic role, the raking light changes the works in new and exciting ways. A must see in person! C. M. Judge's video, "Acqua Vitale" was selected for FLOW at the Nave Gallery, Somerville, MA featuring 20 artists from the region. April 30 - May 21st; closing reception May 21st, 5-7pm. Reminder to Artists: your work must be delivered by May 4th to the ReStore (637 Lancaster St., Leominster) during business hours, Wed. to Sat. 10am - 5pm. To All: Please join us at the Artist Meet & Greet on May 12, 4-6 pm at the ReStore. Artwork will be on display in the ReStore until the silent auction bidding ends on June 1st. All proceeds benefit Habitat for Humanity NCM builds. A ubiquitous household item becomes object d'art at the Nook: "Thrones" transforms the common toilet seat into new art forms. 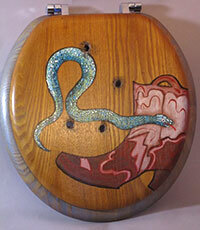 Local artists have taken on the challenge in various ways, from functional to purely sculptural. Lahri Bond, Edite Cunha, Liz Denny, Christina Gusek, Anne Harding, ixchelailee, Trouble Mandeson, Margorie Morgan, Nina Rossi and Gina Vernava, among others, show their creations from May 17 through June 25 at Nina's Nook, 125A Avenue A Turners Falls. Opening reception on May 20, 5 to 7 p.m.
Friday, May 13, 6:30-9 PM for PAS members, our exhibitors and their guests. Exhibit - All work for sale is by Society members, many of whom are award winners widely recognized in their fields. The show includes works in oils, acrylics, pastels, and other two and three-dimensional media, with subject matter as varied as our artists. This show, with three cash prizes, will be judged by Barry Van Dusen, an internationally recognized wildlife artists and member of London's Society of Wildlife Artists. The Jaffrey Civic Center is excited to announce that once again we will be hosting the Annual Young Person's Show which showcases the artwork of Jaffrey and Rindge children from Kindergarten to 12th grade. This year, we will have artwork from Jaffrey Grade School, Rindge Memorial School, Jaffrey-Rindge Middle School and Conant High School. 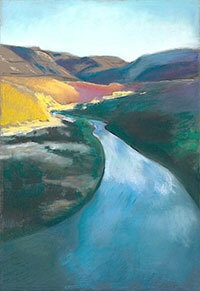 The exhibit will be held in the upstairs Cunningham Gallery and opens Friday, April 22 and runs through May 21. The Opening Reception for this show will be held on a special evening, Founder's Day, on Thursday, May 12th beginning at 7 pm in The Auditorium Gallery. This evening commemorates both, Marion Mack Johnson, the Founder of the Jaffrey Civic Center and the 50th Anniversary of The Jaffrey Civic Center. The evening begins with student musical performances from the Jaffrey Rindge Middle School, Rindge Memorial School , and the Drama Club from Conant High School. We hope you can come celebrate with us on this very special evening. As always, the reception is open to the public and admission is always FREE. Hours of Operation: Mon-Friday, 10-12 and 1 to 5pm (closed for lunch 12 to 1 pm) and Sat 10-2. The Jaffrey Civic Center is very pleased to announce the second exhibit in a series showcasing the work of local young artists under the age of 30. Jaffrey artist, Ashley Hall will be exhibiting at the Civic Center from Thursday, April 14th through May 28th in the ground floor Display Case Gallery. In her mixed media exhibit, Foundations: A Journey to Finding Myself, Hall uses primarily two dimensional media such as pastel oils, acrylic and charcoals. "Art has been a part of my life for as long as I can remember. I have always found a way to incorporate it in my life no matter how busy I have been. I am a mother to the most beautiful little girls and they inspire me daily with their curiosity and incredible personalities. I am also a registered nurse and am one of the few people in the workforce who can honestly say I love what I do. I tend to draw most of my inspiration from nature as I love being outdoors. For me, art is an escape, where I can get lost and forget about any real world stress that I may be experiencing. I absolutely cannot imagine life without it." Ashley Hall. Visual Arts, Technology Engineering, and the Award Winning Oakmont Jazz Band! Location: Joe Smith's house (1035 Willis Rd., Phillipston, MA 01331). Denise's gardens will be in full bloom. We will meet early and travel to the North Shore and the William Forward Wildlife Management Area for some scenic views of the tidal salt marshes along the Parker River, and perhaps some fried clams before returning home. Once again, Doreen LaScola's niece, Taryn LaScola and her sweetheart Peter Miner have offered to host us for a weekend of outdoor art and camaraderie in the beautiful Berkshires. The main event will be Saturday, but we are welcome to bring our tents and/or campers (they have a really big yard) to stay from Friday to Sunday. We'll have art during the day and s'mores by the camp fire at night. Bring your own food, camping stuff, spouses etc. (not necessarily in that order! ), and, of course, your art supplies. Learn at your own pace as instructor, Catherine Judge, works with you to design an individual plan of instruction that inspires you. This five session workshop allows students new to painting the opportunity to get training in the fundamentals while more advanced students enjoy tackling challenging projects under expert guidance. 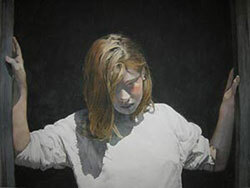 Students are encouraged to choose subject matter that appeals to them while experiencing various painting techniques and styles from observational work to abstraction. Media include oil, acrylic and pastel. Five classes meet every other Thursday morning starting May 5th, 2016. Bring your own art supplies or a list will be sent to those new to painting. To register, please e-mail Catherine at cmjudge@mac.com or call 978-343-7557. Students will get plenty of personal attention, and Lisa's enthusiasm for still life painting is as contagious for the beginner as it is for the experienced painter. GALA is pleased to present "Less is More," a painting class by award winning NH artist and art educator Alicia Drakiotes. Get the most out of a limited palette. Open to those working in acrylic and oil mediums. We will incorporate the Munsell palette to paint effective paintings in this one day workshop. $45 per person. Basic skills required. Class is limited to only eight students, so enroll today! Realistic Still Life in Pastel with Lisa Ober- Only a few spots left! 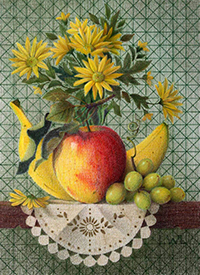 Artist Lisa Ober, PSA, will teach a color-filled workshop on how to create beautifully detailed still life paintings in pastel. Lisa will take a step-by-step approach through her unique still life technique, from the first sketch to the finished piece using a photo reference (provided). Abigail Rorer of Petersham with be the third artist in the Petersham Art Center's "Four Fine Artists, Four Fine Teas" series on Tuesday, May 3, from 3:30-5PM. Rorer has gained an international reputation as a fine print engraver. Her Lone Oak Studio in Petersham has been the birthplace of many limited edition fine art books and prints. She was chosen to illustrate such heirlooms as "Faith in a Seed," by Henry David Thoreau, a compilation of his last manuscript, and has created her own print fine art book with excerpts from Thoreau, "Of Woodland Pools, Spring-Holes & Ditches." Everyone is welcome to enjoy fine tea, delicious hors d'oeuvres, and fine conversation. Reservations are a MUST! Suggested donation is $5 for this event at the Petersham Art Center, 8 North St, Petersham. Call 978-724-3415 for reservations. Janet Palin will be the fourth artist featured in the Petersham Art Center's "Four Fine Artists, Four Fine Teas" series on Tuesday, June 7, from 3:30-5PM. 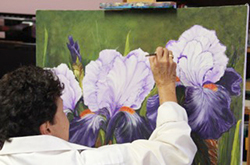 Janet paints from her own studio in Petersham, from the coast of Maine, and from Ghost Ranch in New Mexico as a resident artist and instructor. She has a BFA in painting from Rhode Island School of Design, with additional studies at Amherst College, Hampshire College, Worcester Craft Center, and Vermont Studio Center. 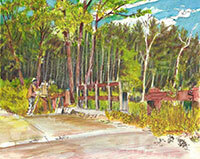 One of her greatest joys is painting plein air at the Ranch. Come hear about Janet's artistic journey as you enjoy fine teas, fine refreshments, and fine conversation. A donation of $5 is suggested for the event. RESERVATIONS ARE A MUST. Call the Petersham Art Center at 978-724-3415 to reserve a space. Reservations to the Four Fine Artists, Four Fine Teas events are an absolute must due to limited space. Donation is $5 per event. Please call Petersham Art Center, 8 North Street, Petersham, at 978-724-3415 for reservations and for more information. 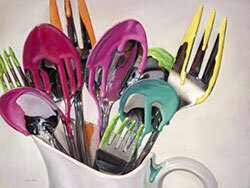 All levels of Drawing, Figure Drawing, Painting, Ceramics, Sculpture, 2D and 3D Design. Classes are open to majors, non-majors, and seniors (tuition free). Students 60 years and older are eligible for a waiver of tuition and fees. Call 978-630-9270. An annual juried exhibition at the Fitchburg Art Museum celebrating the artistic excellence of our region. 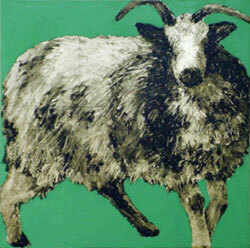 The 81st Regional Exhibition of Art & Craft is one of the oldest juried exhibitions in New England. This annual summer tradition at the Fitchburg Art Museum strives to discover, encourage, and celebrate the artists and crafters of our region. The Regional Show provides our artist community with a museum environment to exhibit artwork and opportunities to connect with fellow artists, arts patrons, and enthusiasts. Opening Reception: Friday, June 24, 6-8 pm. Call for Art: The Fourth Annual "One"
All ArtsWorcester members are invited to participate in The Fourth Annual "One," our summer members' exhibit. Bring us the single piece you want to exhibit most, regardless of medium or theme. The usual size and weight limitations apply (available on the submission page). This year, $500 in awards will be divided among three artists exhibiting in One. Jon Seydl, Director of Curatorial Affairs at the Worcester Art Museum, will select the prize winners. 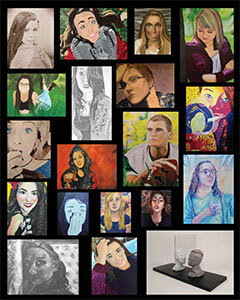 Please register your artwork online by June 1. We appreciate preparing your paperwork in advance. Questions? Call us at 508.755.5142 or email us. Call 978-632-3277 or e-mail info@gardnermuseuminc.com for more information. The Gardner Museum exhibit committee is seeking amateur and professional photographers for our upcoming summer exhibit June 1st to the end of August. The exhibit is themed "Sunrises, Sunsets & Scenic Spots". If interested please contact the museum so that you may be added to the list of exhibitors. All members of the Princeton Arts Society are invited to participate in our 25 Years of Community Creativity spring show, May 13, 14, and 15. Opening Reception will be on Friday from 6:30 to 9:00PM. 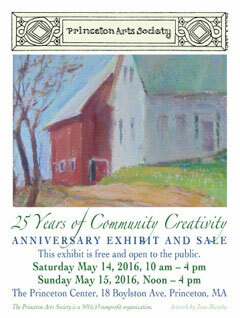 Gallery hours include Saturday, May 14, from 10 AM to 4 PM and Sunday, May 15, from Noon to 4 PM. The show is open to all two and three-dimensional media artists and will be judged as a single body of work with $50 cash prizes awarded in three categories: 1) technical execution, 2) level of creativity, and 3) visual impact. The prospectus is now available for the 2016 North American Open Show, hosted by the North Shore Art Association in Gloucester MA, from September 25 to October 29. We are now accepting submissions. The deadline for entries is midnight, July 28th. Over $7000 in prizes will be awarded to participating artists. The show will be juried by Mary Whyte, a renowned and well-respected figurative watercolorist, best known for her sensitive portraits of the Gullah people of her native coastal South Carolina. Full details are available on the NEWS website. The Amherst Public Art Commission invites area artists or groups of artists to submit work for consideration for exhibition in the Amherst Town Hall Gallery, beginning in July 2016. Both established and emerging artists are encouraged to apply. Exhibits are on display for two months. Artists are encouraged to participate in the monthly Amherst Art Walk during their exhibition. Various hanging media including painting, photography, drawing, printmaking, pastels, mixed media, fiber and illustration will be considered. Submission requirements: Completed application, resume, 4 digital images and a $20 entry fee. Applications must be received no later than April, 1, 2016 and are reviewed as they are received. The Art Exhibit Committee of the Athol Public Library invites area artists to submit work for consideration for exhibition in the library's conference room. The committee will review work for one person shows on an ongoing basis. Various hanging media including painting, drawing, printmaking, illustration, photography, textiles and mixed media are eligible. Doreen LaScola is offering services for stretching custom sized blank canvases. You supply the materials, and she will do the work. Please call 978-297-3427 for a labor-only quote and to arrange an appointment. The Central Mass chapter of the Women's Caucus for Art (CMWCA) is accepting new memberships. We are a national organization that supports, develops and celebrates art making by women. We create exhibition opportunities; network with artists regionally, nationally and internationally; and offer educational programs locally. We are organized as an artists' collective where each member contributes to our vision and works as needed to carry our mission forward. For more information, see our websites: www.centralmasswca.org and www.nationalwca.org. Art Support is a website dedicated to providing support and resources for artists of all types. The following is just a small list of support provided to artists: Organizations Helping Visual Artists, US Government Art Organizations, State Agencies and Art Commissions, Non Governmental Art Organizations, Volunteer Lawyers for the Arts, Laws Regarding Visual Arts, Artist Consultants, Grants for Artists & Grant Assistance, Artist Health Insurance, and many other legal support and resources for Massachusetts artists. Visit the Arts Marketing Project website for info, ideas, tools and training on marketing art. Mini Grants for Professional Development are available through NewVue Communities. More information. It's time to reveal your hidden talent and show your work! The Creative Underground is now accepting new members to their artisan gallery. Located at the Hudson Mill, 43 Broad Street in Hudson, TCU offers artists the opportunity to display their work for a low monthly membership fee with an extremely high commission rate back to you! We are looking for a mix of works - fine art, hand-crafted, glass, wood, metal, and reclaimed, jewelry and out-of-box works. Applications are now being accepted for new memberships. Quantity of inventory available (small-moderate amount is need to start, but replenishing is needed through the year). TCU mission is to reveal the hidden talent of artists in your communities to both encourage and support the arts. The Arts Alliance has quarterly exhibits at the Hudson Town Hall, so if you are interested in a solo exhibit of your work, contact Danielle Moskowitz at (978) 562-1646 or dmoskowitz@upwitharts.org. 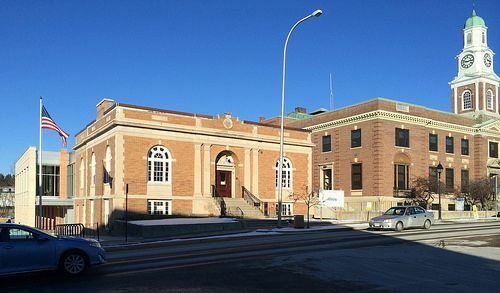 The bank offers the opportunity for a small display of artwork at the 171 Main St. branch in Gardner. For more info, contact Monica Whitehouse at 978-632-9207. The West Boylston Arts Foundation (WBAF) is always looking for artists, crafters, or musicians that would like to offer workshops or classes. Donating a portion of the course fee to the WBAF to support school arts & music would be most welcome. A bluegrass/gospel jam will be held on April 23 and May 15 from 6:30-10:00pm. Contact Pamela Harris at 978-895-3133 for more information. There are many ways to volunteer! Please email info@galagardner.org to express your interest in helping out with our organization. Have news about exhibits, awards, events, classes, call for artists or other art info? Please send your news "publication ready" to news@galagardner.org. See previous newsletters for example formats and the type of info to provide. We strongly recommend that you include a digital image related to the news as well as your website address & links to any venues. Image filenames should include the name of the artist and the work. Please post your press releases online whenever possible and submit a link. for publication on the 1st of the proceeding month. Inclusion of items/announcements is always at the discretion of GALA, but inclusion of submissions from non-members is limited to information deemed to be of benefit to GALA members. 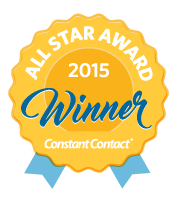 GALA won Constant Contact's All Star Award 7 years in a row (2009-2015) for demonstrating best practices in the use of email marketing. GALA continues its efforts to put out an informational, entertaining newsletter every month to inform its members of recent, current and future art news.